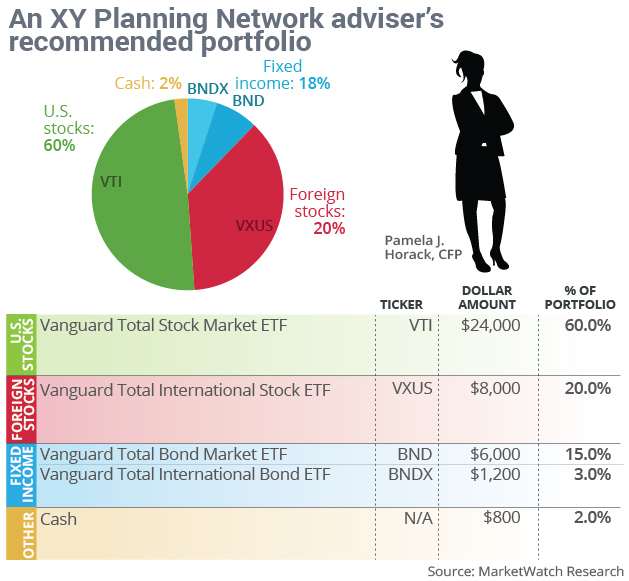 Just four ETFs: Horack’s portfolio uses the same four funds that appear in the Vanguard 2045 target-date fund VTIVX, +0.25% except it goes with ETF versions. She doesn’t put as much into stocks as the 2045 fund, and she dials back further by keeping 2% in cash. MarketWatch made it clear to each human adviser that it was asking for a recommended portfolio for an article.